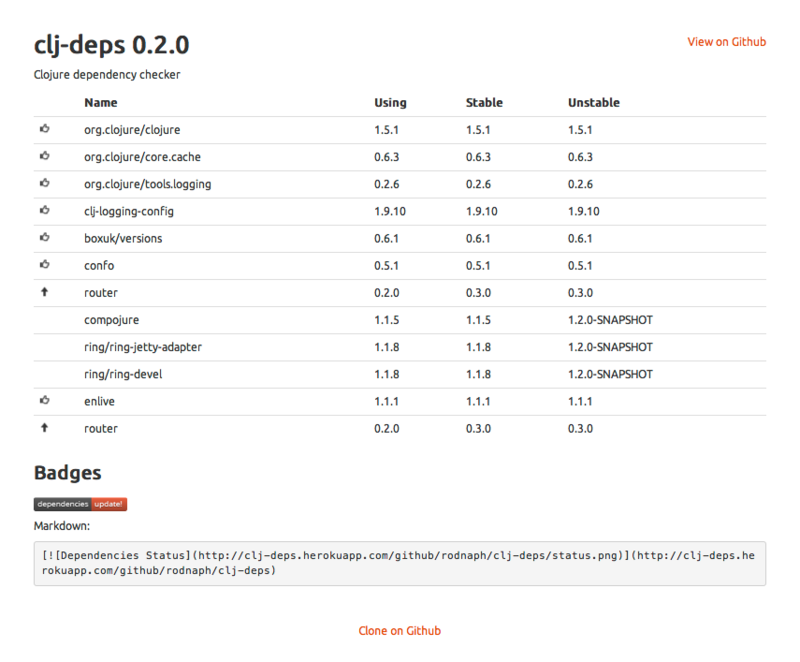 Want to be notified of new releases in rodnaph/clj-deps? To run your own copy, or hack on the project first clone the repository, and then start the application from the REPL. This will start a web server on port 9001 by default. Or you can also start using Leiningen.